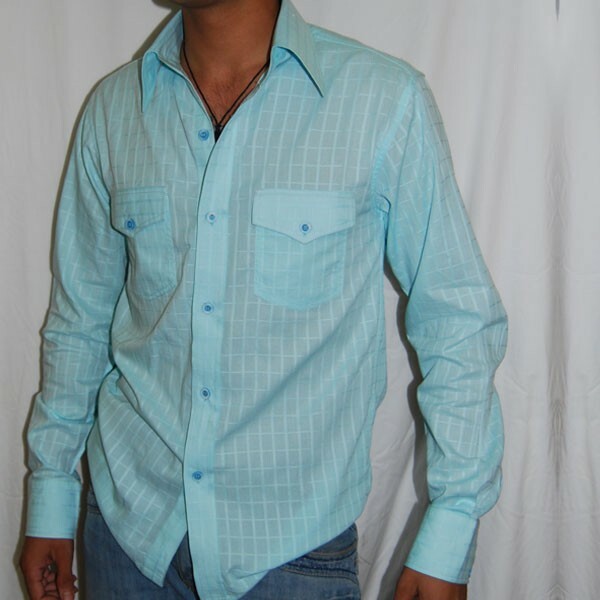 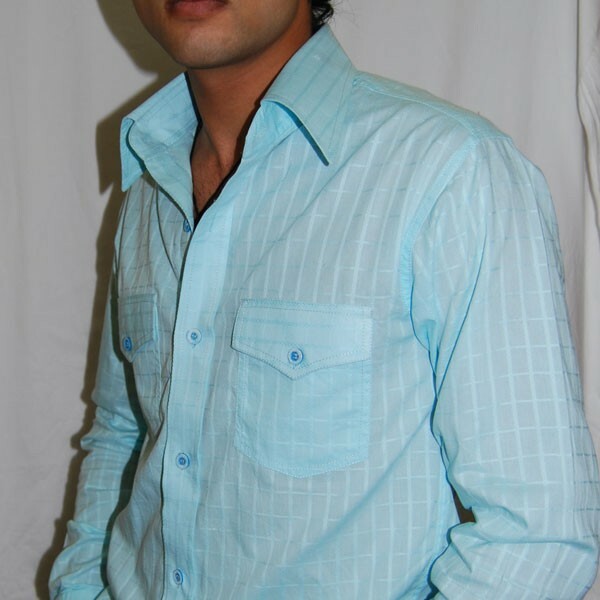 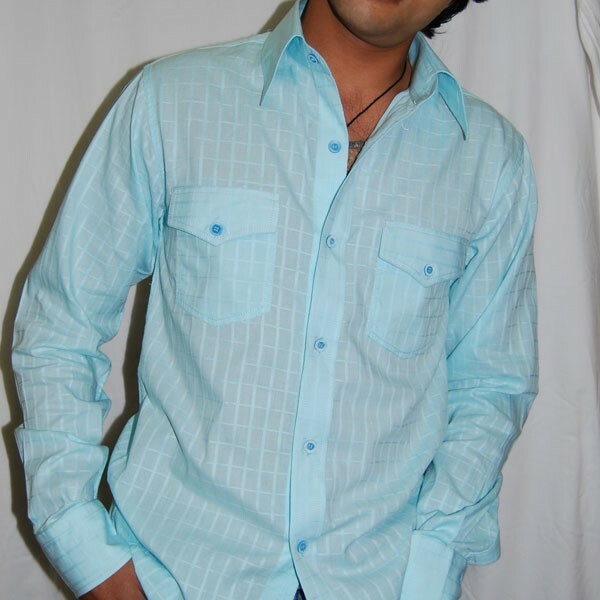 In self weaved spaced out vertical and horizontal lines, the ocean blue shaded mixed cotton shirt is sensuously completed with chest flapped pockets. 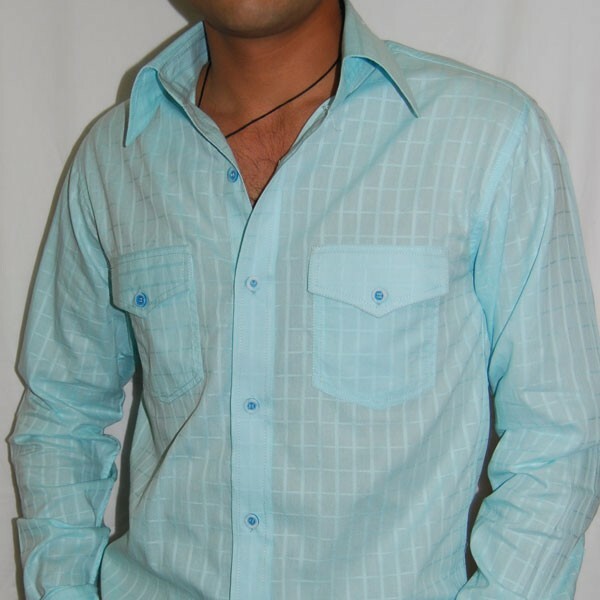 In self weaved spaced out vertical and horizontal lines, the ocean blue shaded mixed cotton shirt is sensuously completed with chest flapped pockets. 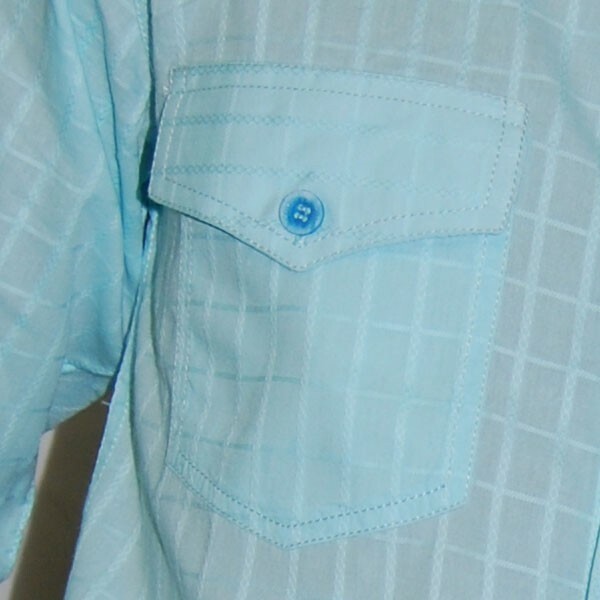 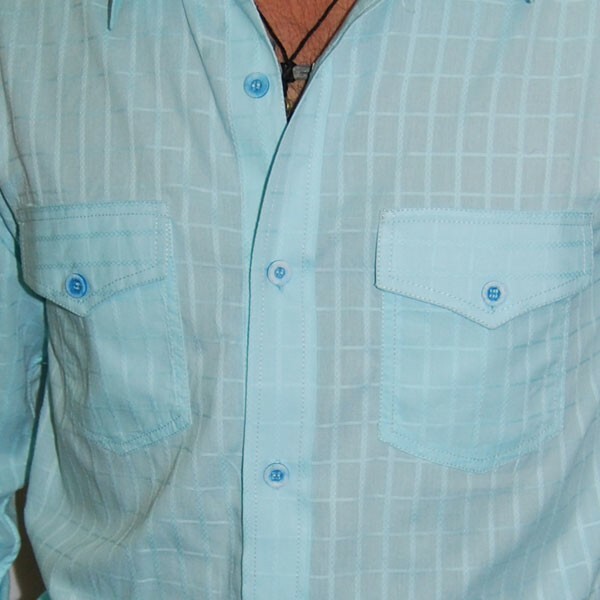 The shirt is in its transparent, trendy, fine texture to mark the macho essence. 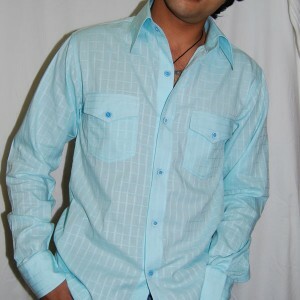 The blue smudged buttons compliment the shades of the ocean blue.